It's getting warmer and that means walks with my husband. I'm a seasonal walker...where he is a year 'rounder at the YMCA. He is a teacher, so when school ends, we walk even more. We find and see such great things on our walks. Now that I have a blog, I'm bringing my camera with me to share some of our findings with you. We have some lovely old buildings in our downtown area. 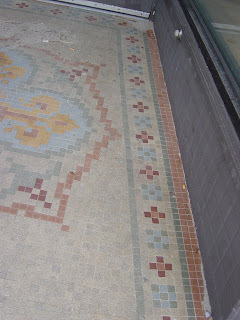 The little entryways to each store have beautiful tile work. 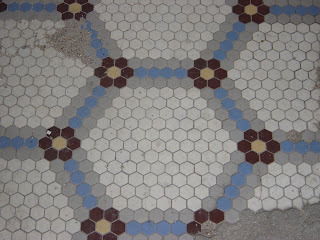 I don't see tile work though, I see a quilt pattern. Here is a quick tour of some of them. Enjoy!!! I am still getting to that tutorial for the car caddy. I have to make another one and take pictures of it. However, it's been a little crazy here. My dad, who lives with us, was in the hospital (ICU). He's home now and recovering. His arteries to one of his legs was completely blocked again, so they needed to operate on it twice, 2 days in a row. He is 85 and is so much better now, no pain in his leg at all!. Well, I'm off for a loooong drive to drop off the financial aid package for my daughter's college. Boy do they make you jump through hoops with the paperwork. Then I'm off to work after that. 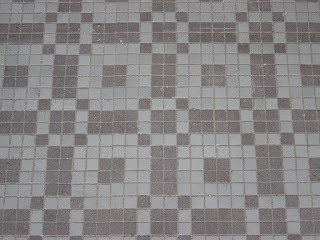 It is so wonderful, where we find our ideas, I see patterns also, I am so glad you Dad is doing well, have a nice day! Glad your dad is feeling better...hang in there! That was fun...thanks for taking me on your walk with you!! 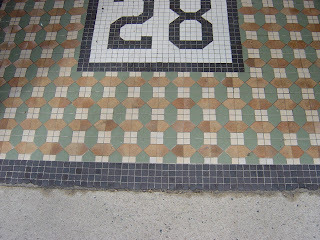 Any information on the designer of these wonderful tile entries? All by the same person? Inquiring minds want to know. Those pictures are really inspiring. I can see a few quilts coming out of those! 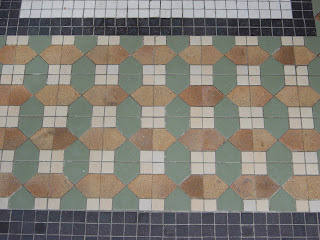 Isn't it amazing the places we find inspiration for quilt design? Grandmother's Flower Gardens, nine patches and a host of other patterns. 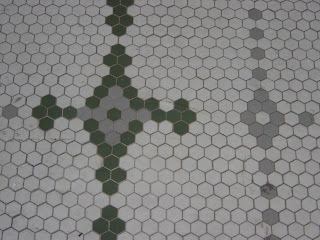 I'll just bet that the people who laid those tiles were exposed to quilts at some point in their lives. Thanks for sharing the photos, Karen. Hope all is well with your father! I'm a seasonal walker too...and my season is going to end soon because it will just be too hot...but I do love walking September through May! Hi, Karen! I loved your sharing of the quilts that you see in tiles--very inspiring! Check out my kids-made mother's day tutorial. If you know of anyone who might be interested, send them over to my blog. I would love to share the idea. Have a great week. I am looking forward to TTT. Also a seasonal walker here. Love the warm weather! Hope your dad continues to progress. 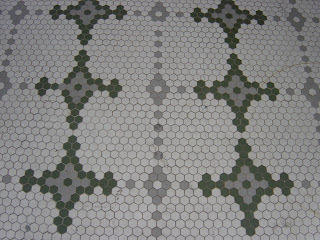 Love the tile inspiration. 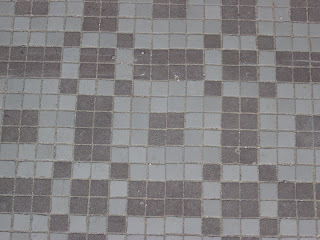 It is funny, I also take pictures of tile for quilty inspiration. Glad all went well for your Dad. 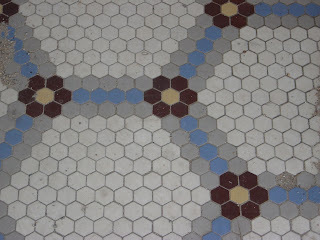 Love the tile floors. 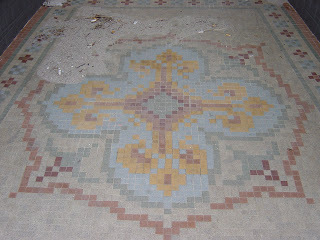 I can see some great quilts inspired by them.